The study by the University of York found that humans could recall between 1,000 to 10,000 faces. The study could assist in developing facial recognition software. FROM FAMILY AND friends to strangers on the subway and public figures on 24-hour news cycles, humans recognise an astonishing 5,000 faces, scientists said today in the first study of its kind. The volunteers were then asked to do the same with people they recognised but did not know personally. They were also shown thousands of images of famous people – two photos of each to ensure consistency – and asked which ones they recognised. 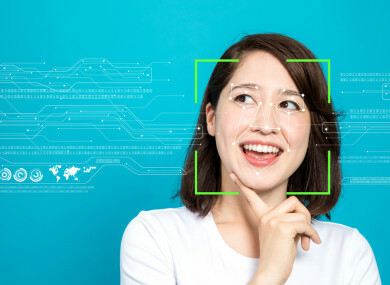 The team said it believes this figure – the first ever baseline of human “facial vocabulary”, could aid the development of facial recognition software increasingly used at airports and criminal investigations. While the team said it was focused on how many faces humans actually know, they said it might be possible for some people to continue learning to recognise an unlimited number of faces, given enough practice. They pointed out that the brain has an almost limitless capacity to memorise words and languages – the limits on these instead come from study time and motivation. The range of faces recognised by participants went far beyond what may have been evolutionarily useful: for thousands of years humans would likely only have met a few dozen people throughout their lives. Email “Study says humans can recognise 5,000 faces”. Feedback on “Study says humans can recognise 5,000 faces”.